I can’t believe it’s been almost six months already since the last time I posted a new recipe… to the few people that follow this blog, I’m sorry! 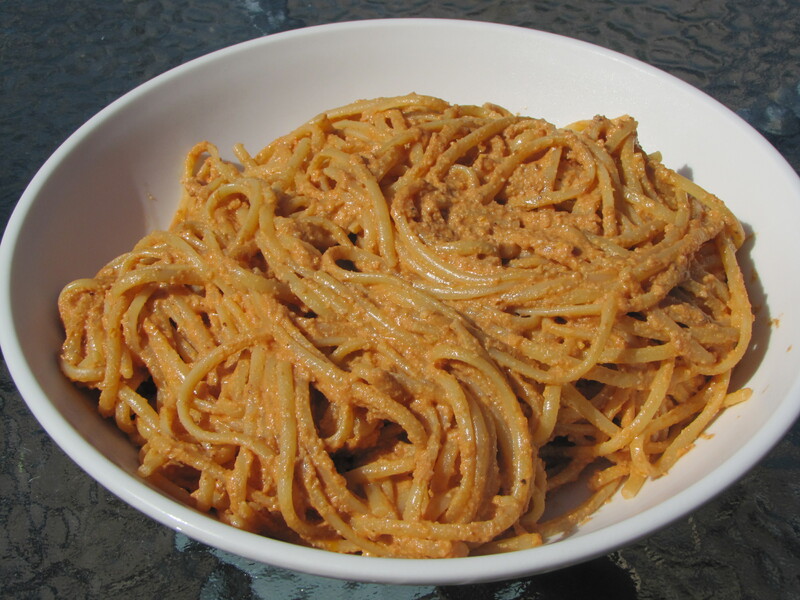 Anyway, here’s a delicious pasta that has a taste that’s slightly similar to muhammara. I hope that the tastiness of this recipe (and the easiness to make it) makes up for my extremely long absence! Drain the pasta, throw it back in the pot, add the sauce, and enjoy! Sounds good 🙂 Does it work with other nuts too? i don’t know about the US, i live in the UK and get it from waitrose… i’m sure you can order it online though! otherwise any kind of vegan cream should do the trick, it’s more to make it more liquid than for taste. hope that helps!